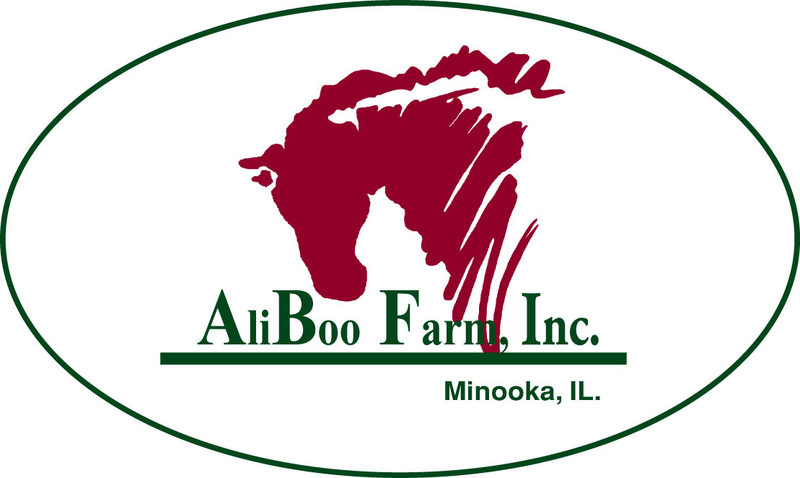 Minooka, IL - October 11, 2016 – AliBoo Farm ended their 2016 show season by setting the example for U.S. young jumper breeders at the Young Jumper Championships in Princeton, New Jersey. AliBoo’s collection of young jumpers had another solid year, finishing with more titles to add to their already impressive resume. AliBoo’s Carrasca Z (Asca Z x Calato Z) won the 6 year-old Style Award and the highly coveted Overall Best Young Jumper Award. With Taylor Flury aboard, the pair put in four clear rounds and the quickest jump off to win the 6-year-old East Coast Young Jumper Championships out of a field of 27, the largest group of 6-year-olds to compete at the YJC finals. 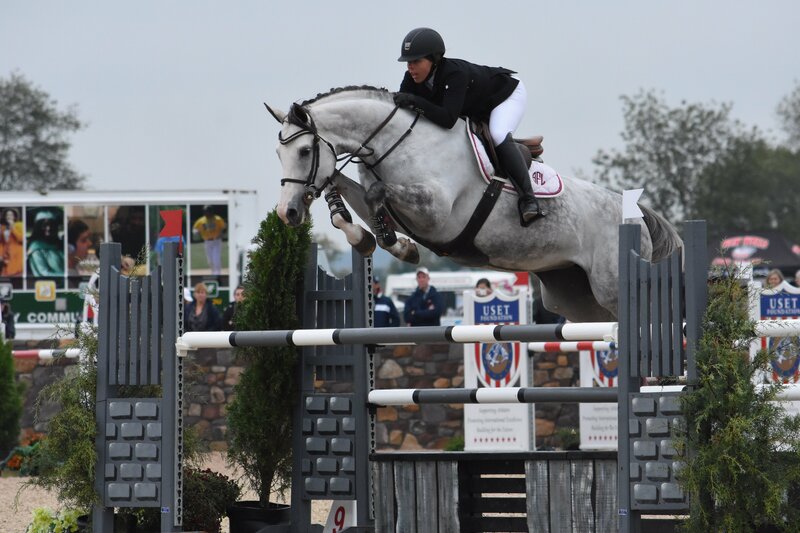 Carrasca Z was the only U.S. bred horse to make it to the top 15 that were brought back for the 6-year-old final, earning AliBoo the Leading U.S. Young Jumper Breeder Award, sponsored by Newsprint Farm. AliBoo Farm has spent years researching, breeding and developing their stock to produce not just one, but numerous talented young jumpers that keep moving up in the divisions. Their consistency proves their program works from the drawing board phase to the show ring. The 2016 championships brought the top 15 young horses back for round three on the final day, with all four of AliBoo Farm's horses qualifying for the finals. Catania Saflo Z finished in sixth, Cosmea Z took 12th and Vuvuzela Z finished in the 14th spot. In the 4-year-olds, Hero and Mandus finished 4th and 5th respectively overall in the 4-year-old Championships. Much of AliBoo's success is thanks to rider Taylor Flury, who puts every step into the AliBoo Farm horses. Flury knows each horse well as the key player on the team. She knows their habits from the stall, to turnout, to grooming and to the ring since she and the AliBoo team are there for every segment of the training. 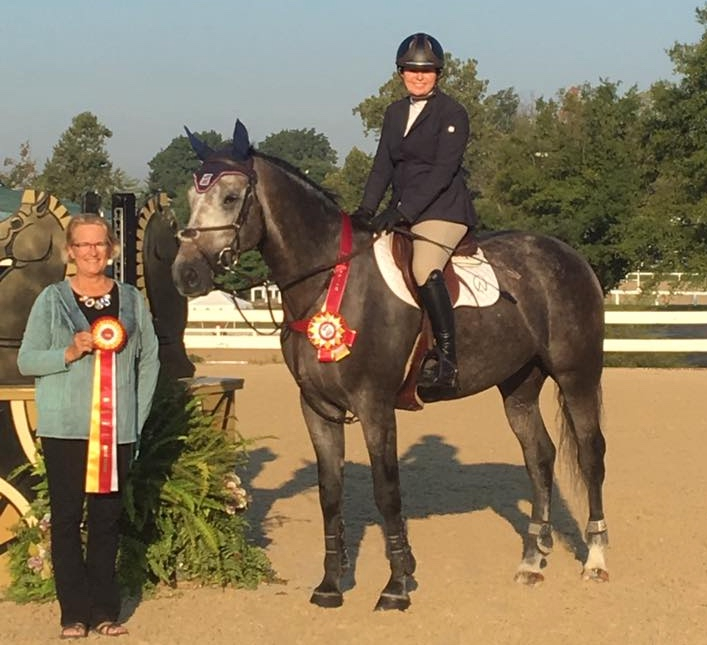 They have proved it is in fact possible to breed and raise competitive, quality horses in the U.S.
Melissa Hirt and My Pride Z took the Reserve Championship in the 5-year-old Midwest Championships. 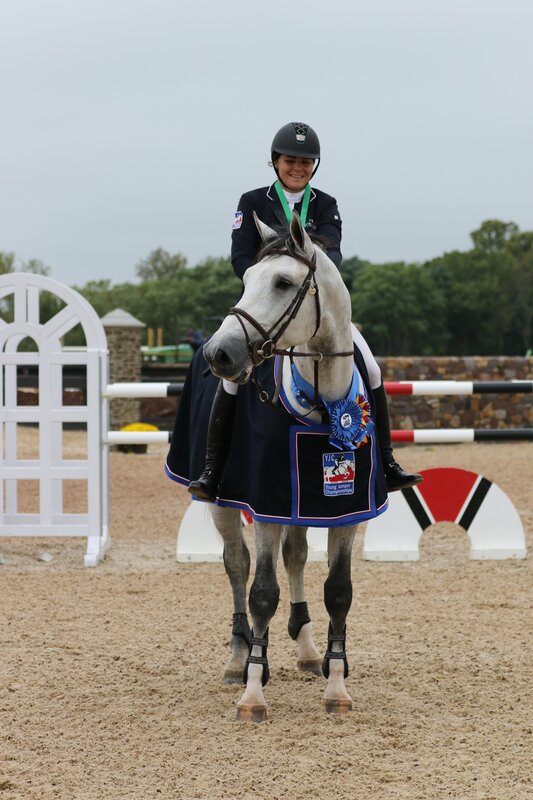 Another young jumper developed by AliBoo Farm is My Pride Z, who finished second at the Midwest 5-year-old Young Jumper Finals with new owner and rider, Melissa Hirt of Michigan. Hirt also purchased Meister ABF from AliBoo as a 3-year-old, who now placed fifth in the 4-year-old International Futurity. "We are aware that we have a concept of how to bring along young horses and it is so gratifying to see how the horses are responding to the program," said Janet Flury, owner of AliBoo Farm. "We have a real team, all wanting the same result and taking pride in what we do. These results couldn't be possible without the synergy of our team." "Our goal is to continue to support others with their young horses and to share our horses so others can also experience success," added Flury. 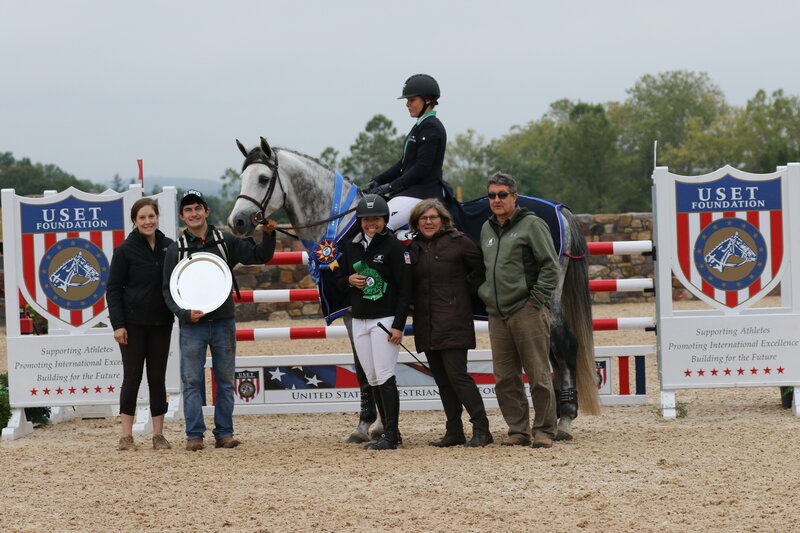 "We love supporting the horse shows and enjoyed the amazing Princeton Horse Show, Andrew Phibrick and his team did a great job and we appreciate their support of the young jumpers." AliBoo Farm offers breeding, breeding consulting, partnerships, development and young horses for sale. 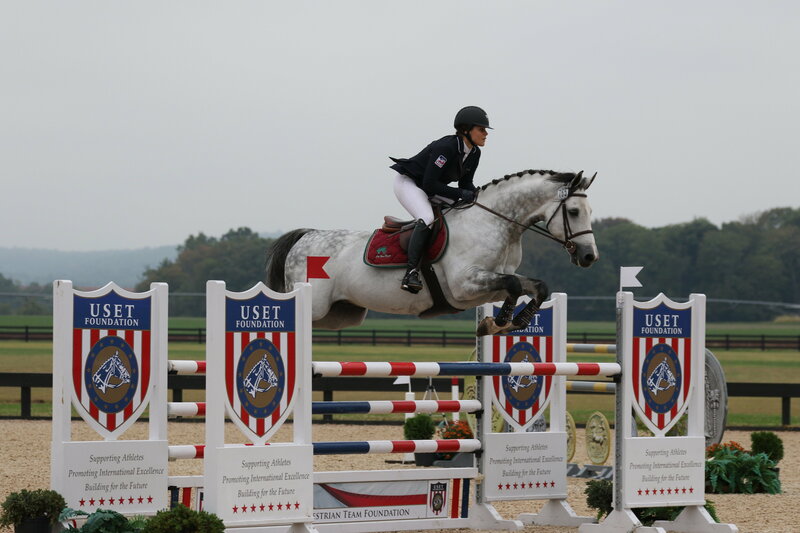 They have turned out top young jumpers in the USEF/USHJA rankings for the past several years and continue to consistently produce quality horses through their program. Contact AliBoo Farm to make your smart investment. Visit their website at www.Aliboofarm.com.